Win Dinner for Two plus a Crossgates Swag Bag. 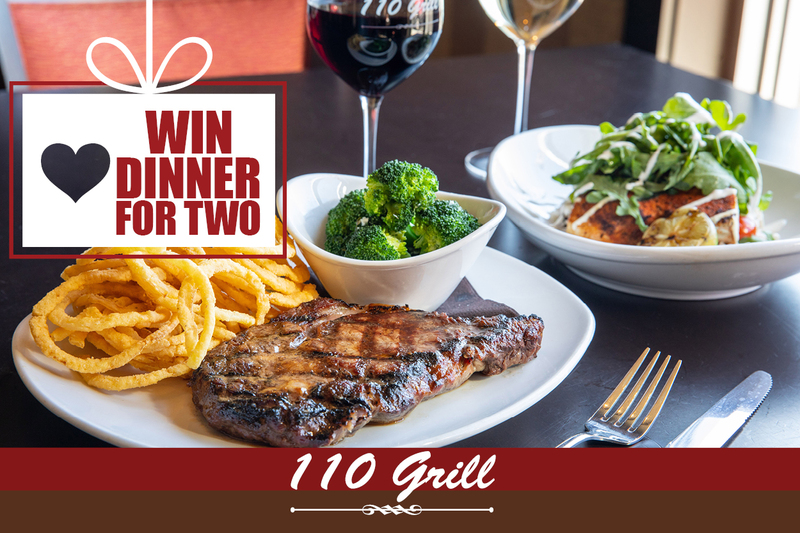 Win a dinner for two at 110 Grill PLUS a swag bag full of gift cards and coupons! Winning dinner will take place on Thursday, February 14th. Gratuity not included in prize.